Residents in the Redlands area generally like having options. They often take their time to find the perfect houses and cars. Location, cost, and community amenities are factors considered when buying dream homes. The ratings, look, and feel of cars determine if they drive them off the lots. They also carefully consider their boat purchases. Before making the investments, they may ask themselves, "Where can the boat be stored?" 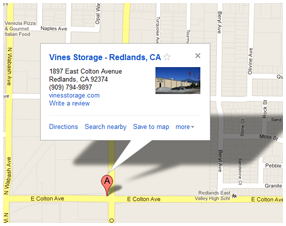 The team at Vines Storage, a Redlands area facility, understands the restrictions for parking RVs and storing boats in the surrounding cities. Therefore, we provide indoor and outdoor storage for the valuable property. Many customers wonder about the differences between the two storage options. We are happy to explain. You most likely do not use your boat as often as your car. However, the security of the watercraft is still a top priority. We can provide 24/7 security utilizing a 32-camera video surveillance system. Additionally, our staff is on site every day of the week from morning until evening. We also provide shelter from the elements. Southern California temperatures may climb to 110 degrees or more; however, the boats will not become damaged in the heat. Our indoor facility can ensure the boats remain in pristine condition. We recognize a boat is an investment. We do all we can to provide affordable solutions for storing your boat. Marina costs can be high; however, we provide outdoor storage. Although we believe indoor storage is ideal, storing your boat outdoors can provide many benefits. The watercraft will under watchful care, thanks to our security system. Outdoor storage can also be convenient, making it easy to hook the boat to the vehicle and head to the water. Whether it is indoor or outdoor storage, we provide various amenities. Our customers enjoy our ice machine, purified water, battery chargers, and compressed air. We understand the importance of storing your property in a safe and secure location. We provide storage space for everything from boxes in our self-storage units to stalls for classic cars. To learn more about our storage facility, call 909-389-6209.